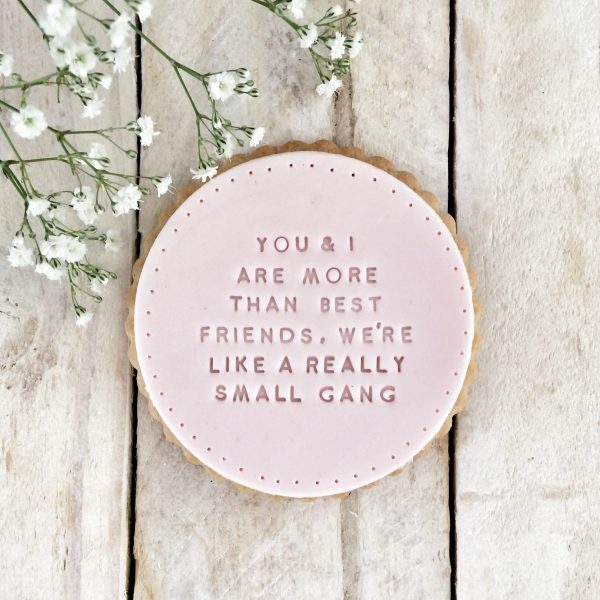 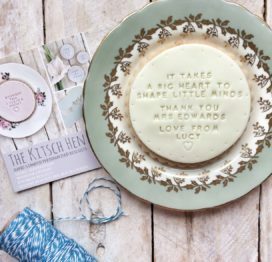 Sometimes we just want to tell a good friend how brilliant we think they are, and what better way than with a lovely vanilla biscuit, handstamped with a special message. 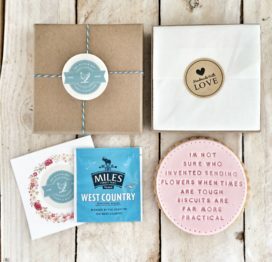 Each of our individual biscuits includes an individually wrapped tea bag – because it’s only right to enjoy a lovely cup of tea with your biscuit!! 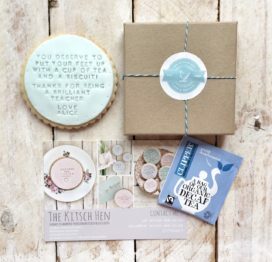 Includes one large biscuit (approx 100mm x 100mm) presented in a lovely gift box. 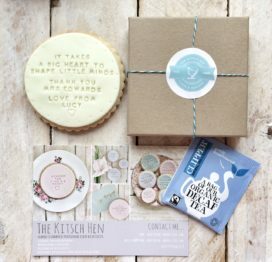 We can happily include a personal, handwritten message of up to 170 characters – please add the details in the gift note box. 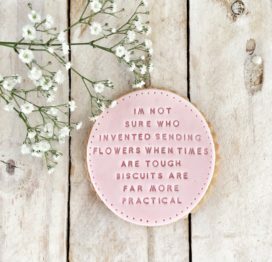 All our biscuits are handmade so colours may differ slightly from shown. 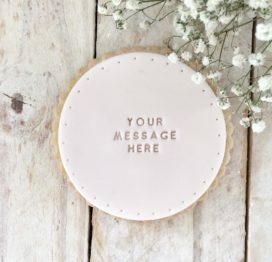 Not quite the right message? 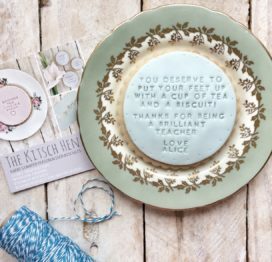 Contact us to create a bespoke order with the message or quote of your choice.